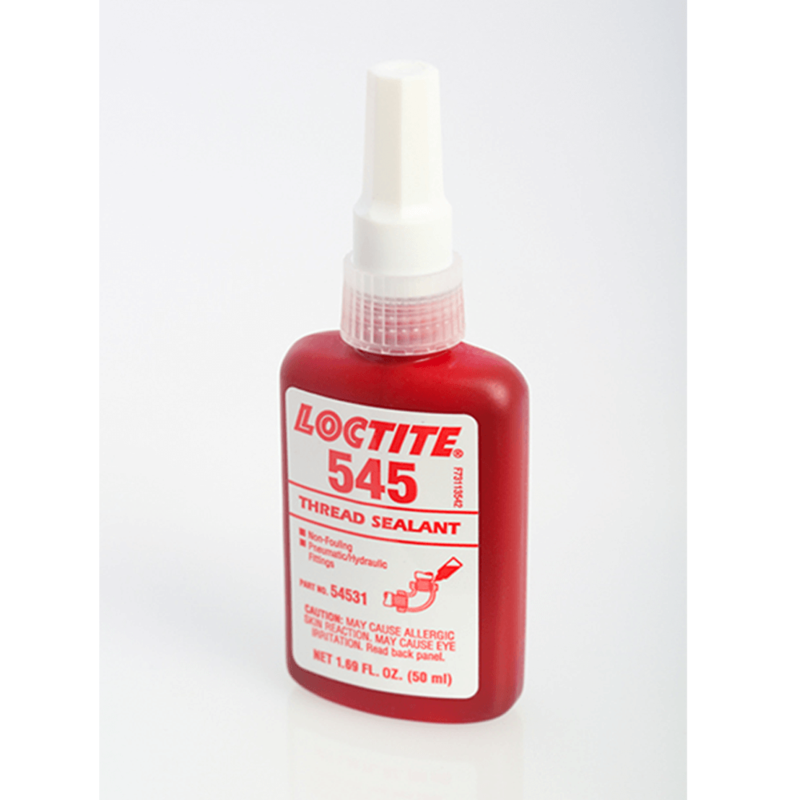 Loctite 545 is designed for the locking and sealing of metal pipes and fittings. The product cures when confined in the absence of air between close fitting metal surfaces and prevents loosening and leakage from shock and vibration. This product is specially formulated to offer lubricity for easy assembly.